October is pastor or clergy appreciation month, a special opportunity for churches to say thanks and show appreciation to their pastor or pastoral staff for the work they do in providing leadership and spiritual care for their congregation. If you’re looking for pastor appreciation ideas, Christian PF offers a great list of ways you can say thanks to your pastor. But I’d like to encourage you and your church to consider other ways to say thanks by investing in your pastor’s personal and spiritual growth. I know people think pastors work only an hour a week, but pastoring is challenging work. And I’m not just talking about all the studying and sermon preparation, though that takes up a significant portion of a pastor’s week. Pastoral ministry can also be emotionally draining, especially when the pastor is called upon to provide counseling to couples on the brink of divorce, make hospital visits in times of tragedy, or deal with those critical and complaining people who just can’t bring themselves to admit that anything is going right in the church. People expect their pastor to have it all together and be the Rock of Gibraltar at all times, but pastors are real people too. They have real families. And children who don’t want to get dressed and go to church on Sunday. Which is why our kids sometimes wore their church clothes to bed on Saturday nights. Sadly, I’ve heard that a majority of pastor’s wives claim they are often very lonely. I wanted to ask my wife if that was true, but I couldn’t find her. I think she was sitting alone in our bedroom again, staring out the window. Actually, I know this is a serious issue for many ministry wives, but I have no idea if it is also true for husbands of women pastors. If anyone knows, I’d appreciate it if you’d let me know. The fact is that pastor families live in a fish bowl, and everyone else is watching what they do and how they respond all the time. This is probably why some pastors and spouses feel they can’t truly be themselves or develop deep relationships with others in the church. Though I’ve known many pastors and spouses who have rich relationships with others on a one-to-one basis or in the context of a small group. I don’t know anyone who became a pastor for the money. Most pastors live modest lives and give sacrificially of their time and financial resources to help others. But some pastors struggle under the weight of financial burdens that few people in their congregation know about. These financial challenges that pastors face often have a negative impact on the pastor’s church, and sadly, are leading a growing number of pastors to leave the ministry. So, if you want to do something special for your pastor or pastoral staff in honor of pastor appreciation month, I know they will appreciate any gift that is given to them, including gift cards, free meals, etc. But also think of ways to show them that you care for their personal family, and spiritual well-being. Sending your pastor to a conference or retreat, buying them books and other ministry and personal growth resources, or offering them a free pastor’s sabbatical, are all ways to support your pastor’s personal and spiritual growth, and will also have a positive impact on his or her family and ministry. 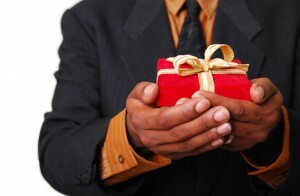 If you’re a pastor, what has been the most meaningful gift that you’ve received? If you’re a church member, what is your church doing to celebrate Pastor Appreciation Month? If You Don’t Read These Other Great Posts, Who Will? Does Pastor Housing in a Church Parsonage Make Sense? Rich writes on money and personal growth from a pastor's perspective here at Money Wise Pastor. He loves In-N-Out Burger (and has the t-shirts to prove it), big cities, international travel, running marathons, and helping others create more freedom, purpose, and fulfillment in their life and work. Find him on Twitter and Facebook. The content on Money Wise Pastor is for informational purposes only. We may be compensated by companies mentioned through advertising, affiliate programs, and otherwise. However, we will never promote or recommend a product that we wouldn't use ourselves. Affiliate links and ads are simply a way for us to provide the information on this site at no cost to you, our reader.